There are many great things to see and do in New Zealand, and there are also many free or very cheap entertainment options for the budget traveler. The most obvious of these are outdoors, including beaches and tramping. Wherever you are in New Zealand you are guaranteed to be no more than a couple of hours travel from the coastline and public parks etc. The beaches especially are great, and a quick conversation with a local will put you on the right track to the best beach. Walking and tramping tracks, waterfalls, historical sites and buildings and scenic spots are everywhere and many are available to you for free. Every town, large or small, offers an information center and usually online websites which give very detailed and current information on local things to do and see, so whether you plan in advance or on the spot there will be no lack of entertainment. In the major centers (Auckland, Hamilton, Wellington, Christchurch and Dunedin) there are also free concerts and events happening all the time, mostly in summer, but also in winter if you look for it. Backpacker’s hostels especially have a lot of information on the best and most current entertainment on offer around the place. In the larger cities there are also free art galleries, museums, shopping malls and fantastic markets. Universities are another good place to find free entertainment, including live music and drama and even the odd lecture if this takes your fancy! If the night life suits you, the larger cities all have a busy nightclub and bar scene, and most clubs are not too difficult to get in to as long as you dress tidily. Word of mouth is by far one of the best ways to find cheap entertainment. 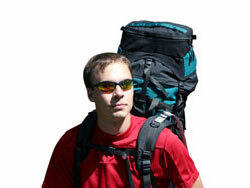 New Zealanders are very open to conversation and friendly, and usually full of advice, as are other backpackers.